Your digital camera is one of the most important gadgets when you plan on going on a trip. Not only will they provide you with images, they will ensure that all those important moments from your travels will stay with you longer. The best digital camera bags for travel are here to ensure that not only will your camera stay safe, but it will also keep it easy to reach. 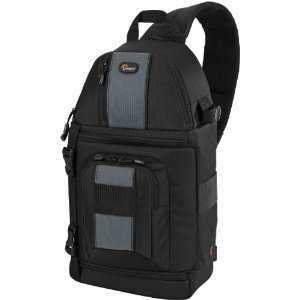 What to Consider Before Buying Digital Camera Bags. 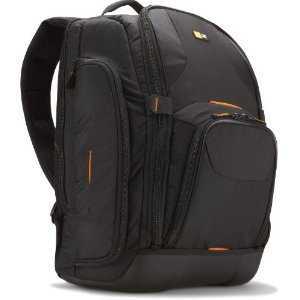 Easily one of the best digital camera bags for travel is the Case Logic SLRC-206 SLR camera bag. This model in particular is also sizeable enough to ensure that even your laptop will stay safe and dry during your trip, without you having to worry about them every step of the way. It has a very rugged construction and the interior is designed to keep your camera in place. There is also additional storage space which can keep 2 or 3 additional lenses or even a laptop. The EVA base of the Case Logic SLRC-206 SLR camera bag is there to keep your bag dry even when you put it down on a wet surface. Memory foam protects all the important bits and the interior offers plenty of room for customization. The next contestant for the entrants in the best digital camera bags for travel comes in the shape of the Canon Deluxe Gadget Bag 100EG. This model is very small and compact but do not be fooled by the exterior since this little bag can easily accommodate your digital SLR camera as well as accessories for it with ease. Its design is aimed to hold one or two camera bodies and also lenses for these. You can even store in some accessories for these devices without having to worry about them and the reinforced and padded compartments will keep them safe. If you plan to go on a long trip, then the Canon Deluxe Gadget Bag 100EG should be on the top of your list! My next big recommendation in this small lineup of the best digital camera bags for travel is the Lowepro SlingShot 202 AW. If you are looking for a bag that will store your digital SLR camera with ease as well as keep it safe at all times, then this bag should be on the top of your shopping list. It features excellent storage space and great interior design. This in turn will allow you to store tons of lenses as well as camera bodies. The padded interior ensures the safety of your gadgets while small pouches will be great to store little accessories in the bag without having to worry too much about those. The all-weather cover ensures that your camera and your gear will not have to worry about rain or snow. One of my favorite additions was the presence of the SlipLock attachment loops which can even hold additional cases, bags or pouces. There are many more digital camera bags for travel and the most important elements that you should keep a sharp eye out for when buying one of these is their compatibility with your gadget and your accessories. Think about the region that you will be visiting and make preparations in this regard by looking for features that you need. The market offers plenty of great digital camera bags for travel, so make sure that you find the one to fit your needs and your gadgets!